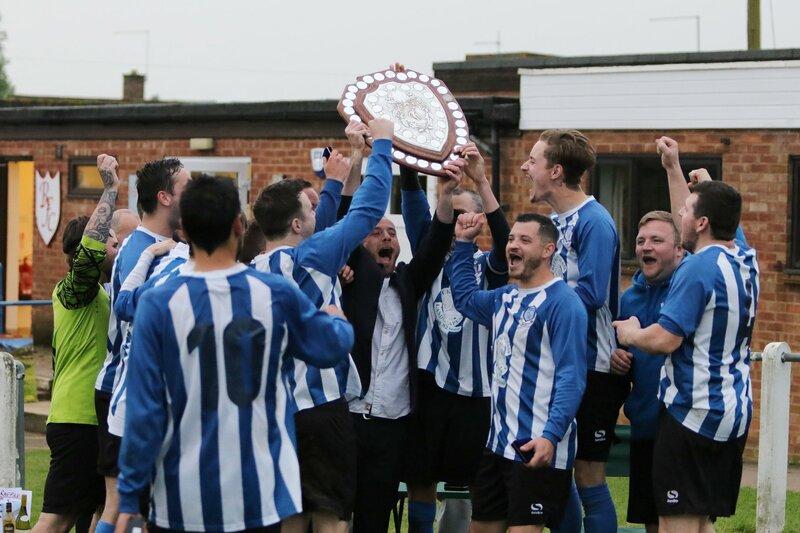 Buckingham United Firsts took on Scott in a six-pointer towards the top of the table. Early in the season the Firsts conceded a few late goals to Scott with disappointing results. After an impressive performance against Towcester Town, Buckingham were looking to push on in the league and gain their first victory against Scott. The match started with some scrappy play and both teams lost the ball in important areas encouraging counter attacks. Buckingham United had the first opportunity. A great through ball from Bobby Cooney put Mitchell Young in on goal but put it just wide. Matt Carr found space on the right wing on several occasions and whipped in some dangerous balls that were well defended. After the early chances Scott began to grow into the match. A chance was put over the bar from 20 yards and a long ball wasn't dealt with effectively. The Scott striker latched onto the loose ball and lobbed the keeper to make it 1-0. After the first goal the match became scrappy again with both teams playing the long ball and neither able to create any chances. The half time whistle went and completed a poor half for Buckingham. The Firsts were only 1-0 down but Scott had much of the first half and could have been further ahead. Half time included a heated team talk from Dean O'Connor and the two substitutions, Andy Selleck and Josh Sullivan instantly made an impact carrying out their defensive duties. They also contributed to Buckingham gaining possession, attacking down the wings and Buckingham were playing like a different team. Danny Charlesworth linked up play on several occasions resulting in chances for Mitchell Young and Jimmy Richardson. Buckingham gained a free kick which was whipped in by Bobby Cooney and when John Westcott was clattered, when just about to head the ball, the penalty was awarded. Mitchell Young stepped up and levelled the match for Buckingham. The Firsts were moving the ball around with ease and stretching the Scott defence creating endless chances. Buckingham picked up a free kick and Bobby Cooney, again putting in a perfect cross, found John Westcott who headed it in from two yards. Buckingham were ahead and as on previous occasions the team are hard to stop when they are on a roll. A third quickly followed with Mitchell Young putting pressure on the goal keeper and forced the mistake for a 8 yard tap in. Andy Selleck substituted on at half time was a growing influence on the match. Jack White's long throw found Andy, and after beating a player, he put in a cross that Danny Charlesworth finished, past the keeper first time, to complete a great goal. Buckingham narrowly missed adding a contender to goal of the season. After a phase of play that swept through Scott's midfield with one-twos and one touch play Jimmy Richardson was left in on goal but just grazed the wrong side of the post. Jimmy Richardson added a fifth for Buckingham with a ball fired into the area that, after a poor clearance, he latched onto and powered the loose ball home. A great win for Buckingham which puts them in third place, they face Steeple Claydon next week in another six pointer.